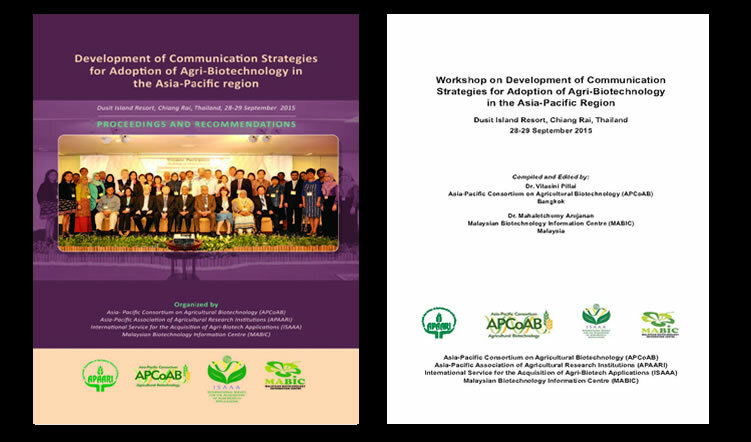 The Asia-Pacific Association of Agricultural Research Institutions (APAARI) and its program on biotechnology, the Asia-Pacific Consortium on Agricultural Biotechnology (APCoAB), organized a workshop on Development of Communication Strategies for Adoption of Agri-Biotechnology in Asia and the Pacific from the 28-29th September, 2015 in Chiang Rai, Thailand. It was organized in collaboration with International Service for the Acquisition of Agri-biotech Applications (ISAAA), Malaysian Biotechnology Information Centre (MABIC) and supported by Council of Agriculture, the Chinese Taipei. 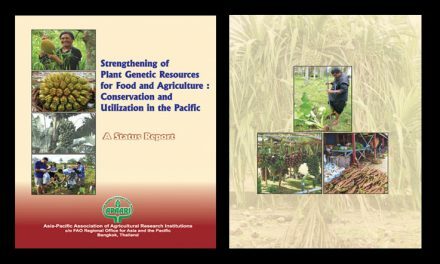 Come up with recommendations and communication strategies that could expedite the adoption of biotech crops to harness its benefits in the Asia-Pacific region. 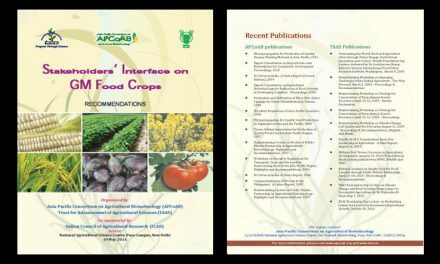 International experts from nine countries together with twenty-four agriculture researchers from fifteen countries in the Asia and the Pacific participated and shared their experiences as resource persons, scientists, regulators and communicators. 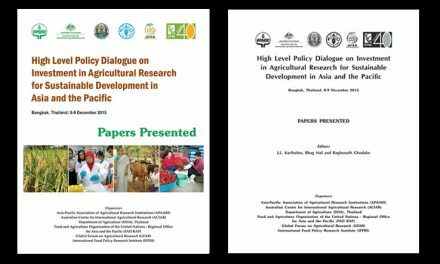 The participants deliberated on issues and bottlenecks in the adoption of agri-biotechnology in the Asia-Pacific region and discussed on policies, regulations and communication strategies that can expedite the adoption of agri-biotechnology in the Asia-Pacific region. 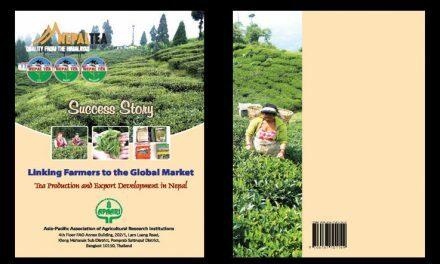 All of the participants agreed that the key problems are no longer based around not having an adequate flow of technology in the region, but are based around not having commensurate communication and understanding of agri-biotechnology opportunities. Proceedings of this workshop have been published and a Communications Framework will be published by February 2016.